Welcome to Tuesday! At this point, it is more like welcome to the end of Tuesday. It has been one of those days where it is hard to think in full sentences so lets keep it short and easy with bullet points today. Why is it that some days just drag on and on while others like today make it seem like there is never enough time! I feel like my life is a mix between counting hours until quitting time and feeling like a chicken with no head. Today= definitely a headless chicken day. Cluck cluck! Speaking of chicken (like that transition) I need to stop being one and sign up for a triathlon already! The Newport Beach Triathlon is in October and as it closer I somehow talk myself out of signing up. I need to just bite the bullet and sign up for one already, especially before pricing goes up on this one! 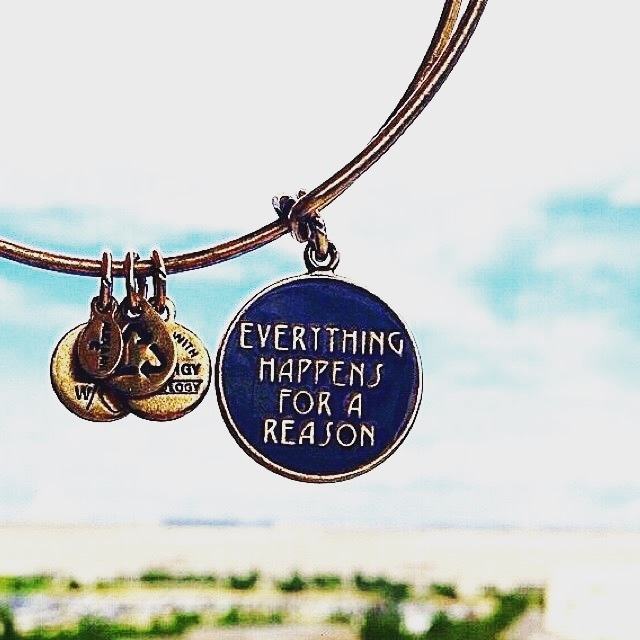 I saw this this bracelet from Alex & Ani from today One of my life motto’s is “Everything Happens For A Reason” so I would love to wear it on my wrist to remind me! I love using the notepad on my Iphone to jot things down when I am out and about so I do not forget or can refer back to later. 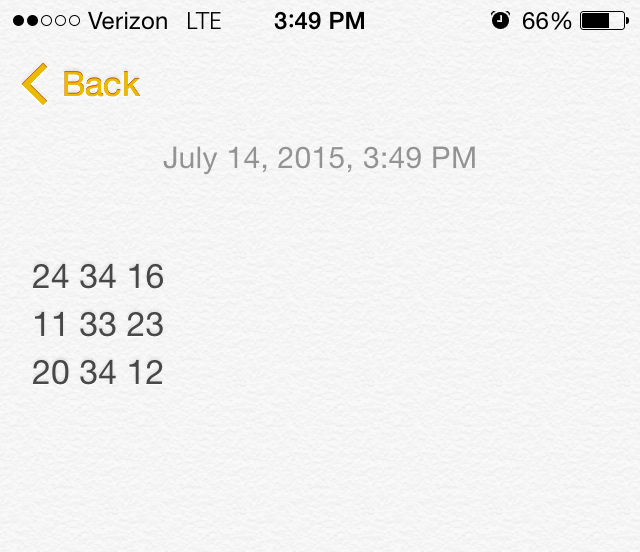 However, lately a lot of my notes have been just a word or numbers. The problem is I have NO idea what I was trying to remind myself about. I may need to come up with a better system for my note jotting. This one from today is a set of three numbers which I think are combos. To what? I have no idea. Although we have Thailand booked for November as well as Miami and Portland in the next two months, I cannot stop thinking about our Greece trip early next year. As we have been planning, it seems the best time to go would be the end of March or first week of April. There is so much to see, do and plenty of beaches to relax on. I cannot wait to finally visit Mykonos, Athens and Santorini! I am very excited about my next certification renewal which will be next weekend (I need to write about my cycle certification already, soon I promise). My gym is offering a cycle certification locally but since I already have my certification it will just be a refresher course to help with my recertification next year. Regardless as I have mentioned before, I just love learning how to improve myself as an instructor and taking as many classes as possible. Is it Friday yet? I wish but tonight is going to be a busy night with my best friend’s Scentsy party and my Tuesday night Bootcamp class. Catch you here tomorrow for some Workout Wednesday action! Tell me: Do you have a life quote or motto? Do you use your notepad to remind yourself of things?